Adding planting to a water feature can have many benefits. Not only do plants look great, but they also help balance the ecosystem and attract wildlife. 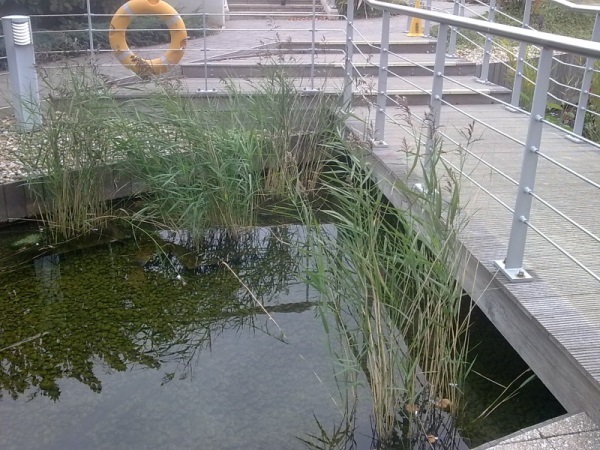 They compete for nutrients within the water which can help to control weed/algal growth. 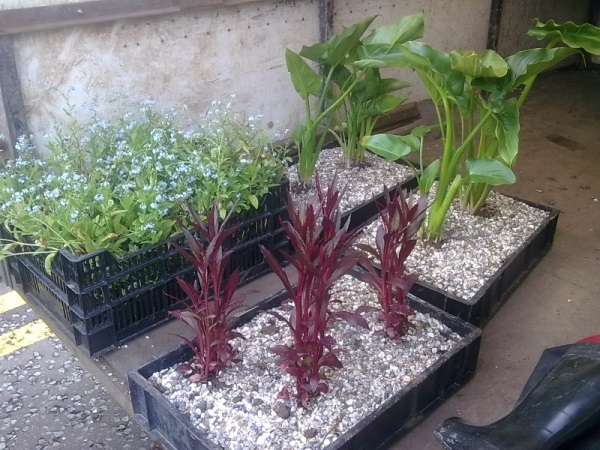 We can either supply small plugs which can grow over time to give the desired effect. 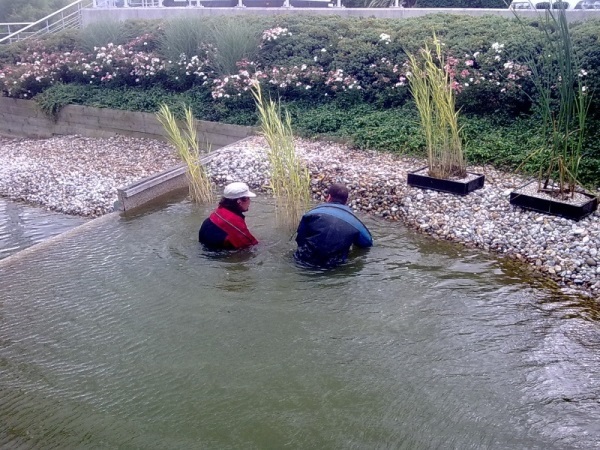 Or alternatively, we can supply mature plants to give that instant impact to your water feature. We are extremely proud to offer such large mature plants for planting. Not only do plants look great, but they also help balance the ecosystem and attract wildlife. Please see the photos that show some of the plants we can offer. We hope you will agree that not only are they very large (some 6ft + high), but that they can instantly transform that look of your water feature. The greater the density of plants the greater the impact, but the choice of how many and which plants to use is very much up to you. Most have voluptuous foliage and we would be happy to supply lilies and some Irises for some colour. The overall effect would be voluptuous green leaves providing a great aesthetic. Garden, pond, Pond plants, planting, planting services, lake, water feature, aquatic, lily, lilies. 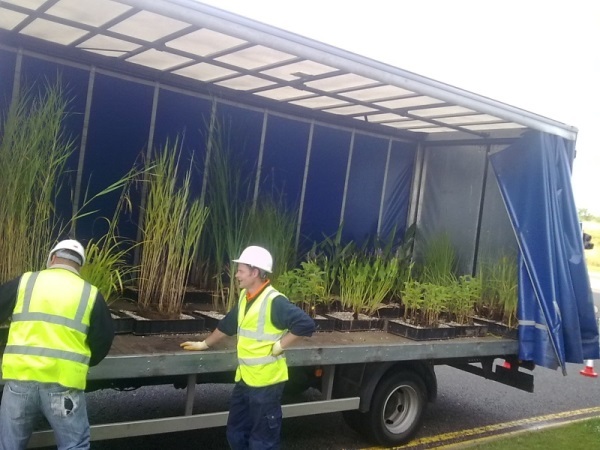 We seek to ensure the works are simple for you as the client; a lorry delivers the plants to site, staff (in dry suits where required) then plant directly into the silt in the pond or can be planted in baskets. 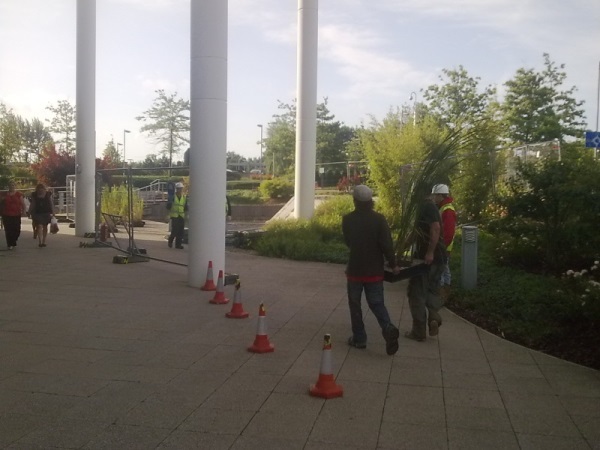 We know that no-one wants workmen round for longer than strictly necessary, so we seek to ensure that once on site the plants can quickly be placed into position. 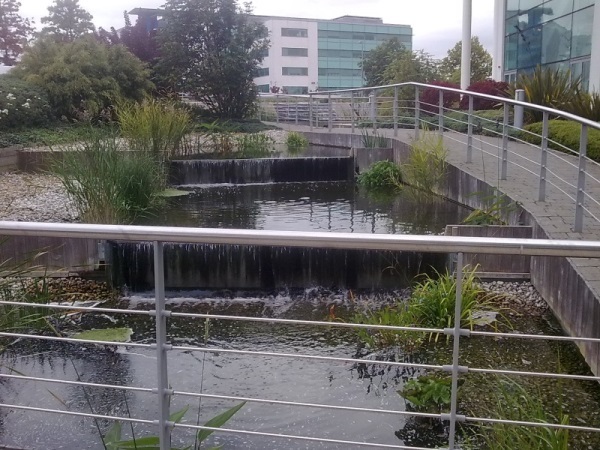 The results are instantaneous and can really help give that feel of tranquility and life to a water feature. 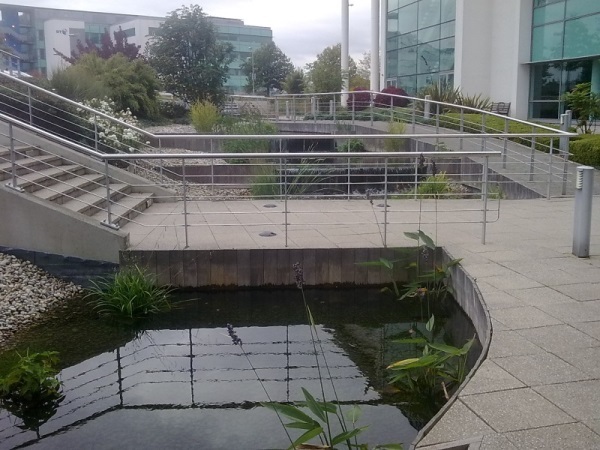 We have completed projects for Local Authorities, commercial and domestic clients. We can offer mature plants of great size shipped to your door, or arrange for a complete planting service.